We want to see a flower, or LOTS of flowers on your project. What I discovered in this challenge is that I have very few flower stamp sets in my stash. My plan was to make some paper flowers, but time got the better of me. 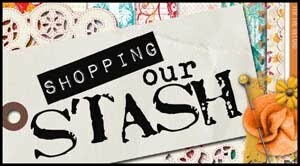 I rocked some serious old school Stampin Up stash for the challenge! My card is a pretty close CASE of this card I found on SCS. While you are there please share come crafty loves and comments with the rest of the crew! Wow you sure dug deep for those butterflies, Fabulous card. great design. time gets short for me on a regular basis. lol. I think I have the stamp equivalents of those SU butterfly dies! :P This is such a pretty card! Hi, Donna, this is just beautiful! I just love your sentiment and the way it keeps your focal grouping grounded! Love it, Love it, Love it! Oh WOW!! 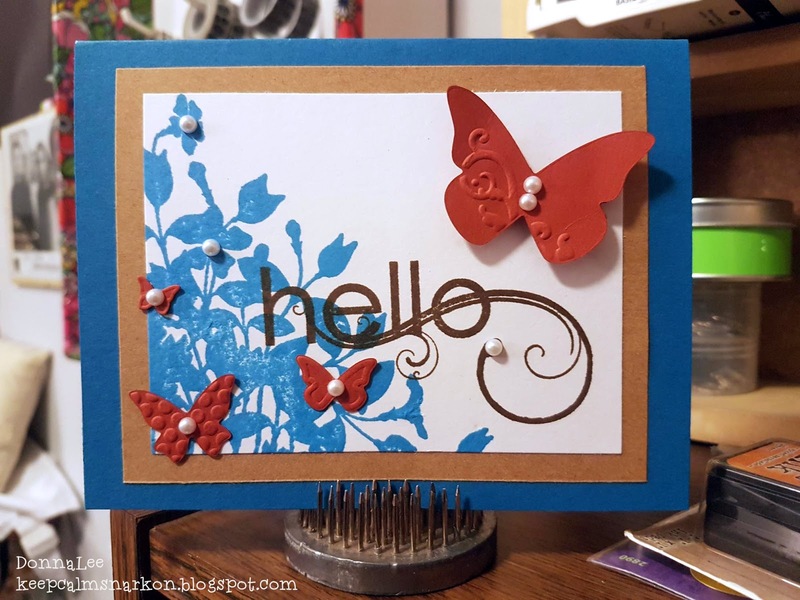 I haven't thought about those beautiful butterflies in a long while and you pair them beautifully with the stamped background, love the colors and your layout. Love the pearl details too.